A good balance of sweet and bitter fruit underpinned with the bourbon cask’s delicate vanilla layers. Remarkably light, fresh and vibrant. 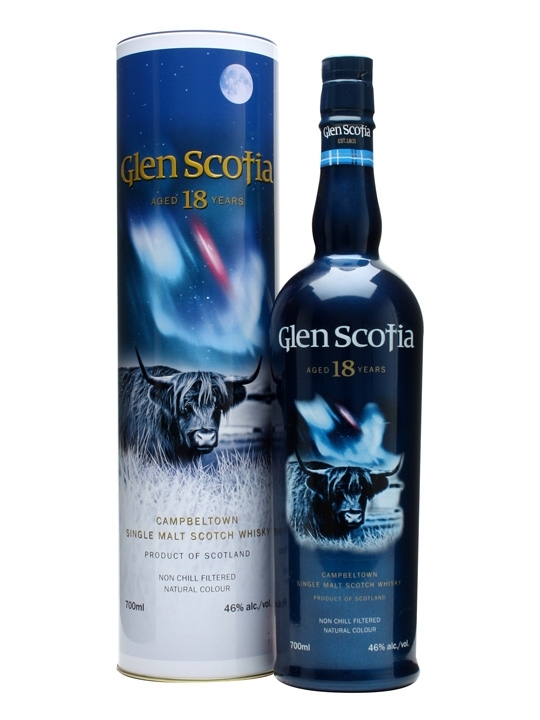 Glen Scotia 18 Years Old – released 2012 so presumably distilled in 1994 – safely before the mothballed period for Glen Scotia so we are well and truly safely in ‘old’ stock era here. At 18 Years Old these Glen Scotia’s are starting to feel complete with plenty of texture and an intensity, complex but quite coherent flavours reflect the staunch adherence to bourbon-only maturation.